For many sport car enthusiasts, the Nissan 240SX of the late 1980s and 1990s is one remembered fondly and still collected today. Nissan has promised a successor to that and will debut the concept at the Tokyo Motor Show next month. Nissan plans to unveil two sport car concepts in Tokyo next month. 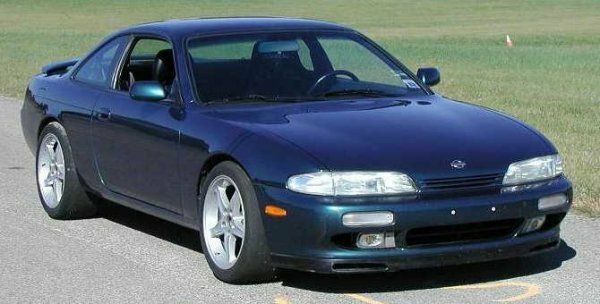 One of those will be a concept derived from the 240SX, which enjoyed a decade of production from 1989 to 1998 and was a popular small engine sport car, competing against similar-sized and priced sports cars from other Japanese automakers at the time. The introduction and huge popularity that the Subaru BRZ / Scion FR-S (collectively known as the Toyobaru) have achieved in the North American market shows that there is a lot of interest in entry-level, rear-wheel driven, small-engine sports cars. The surprising sales numbers, which even the companies involved did not expect, have proven that the market is ripe for these cars. Nissan, whose only competitor in that segment is the more expensive 370Z, seems keen to jump onto the wave. The 240SX was itself the successor to the moderate-selling 200SX. When they introduced in 1989, they had a 2.4-liter inline four-cylinder engine in a single overhead cam (SOHC) configuration. The second-generation of the 240SX both updated that to become a dual overhead cam (DOHC) and expanded the engine bay to accommodate customers who wanted to put in larger, after-market engines. Today, many 240SX second-generation cars are still on the roads, many with non-stock powertrains featuring V6 engines and race-style transmissions. Enthusiasts for both generations of the 240SX still keep their vehicles on the road and form clubs around the country to showcase their cars and talk shop about parts availability and do-it-yourself upgrades. We can be sure that the concept introduced in Tokyo will only take styling cues from the old 240SX, as many things have changed since 1998. Nissan has hinted at reviving the 240SX before, most recently as a Mazda MX-5 Miata rival. That project was dead-ended for budget reasons in favor of a coupe version of the Sentra, which also didn't get far. Until the Tokyo show opens, we'll have to just wait and see what Nissan is planning. They've promised two sport car concepts and persistent rumors are that one of them will be a 240SX-based design. The other is perhaps the next entry into the NISMO lineup? We'll find out in November. I am interested to see how Nissan differentiates the modern take on the 240 from the 370Z. Id love to see a competitor for the Subaru BRZ and Scion FRS. Ya and Nissan has told me directly that they do plan to compete with the Toyobarus, though whether or not the revelation in Tokyo will be it, they haven't said. I hope it is rear drive. I loved those old 240s along with the older Supras and Z cars. Anyone remember the AE 46 Corolla? I think that AWD may drive the price too high...but it would certainly give the Nissan a big advantage over the Toyobaru twins. I think that there was a sedan based on the Corolla AE86 but it may have been called something slightly different like an AE85 or something. The Mitsubishi Challenger was a 2 door...and I believe it to be the least popular car called a Challenger ever, the least popular of all of the Dodgubishis and possibly the least popular Chrysler Group 2-door ever. It is rare to see them even at huge Mopar events.